Historians believe that building each wall could take some 20-30 years. That's a piece of work, but it was worth the time and efforts, the walls have been used for defence of a town throughout all history. 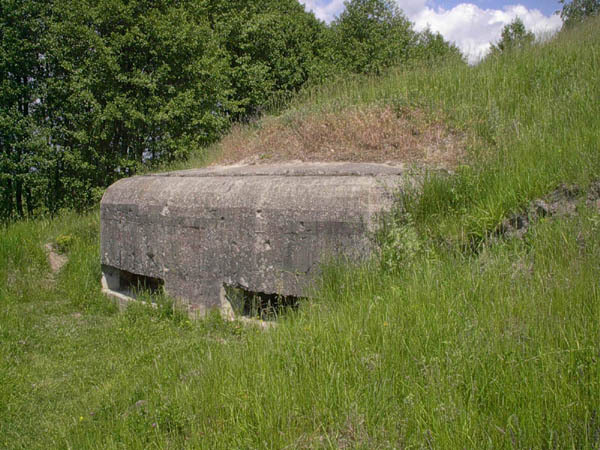 In 1929 by Stalins order they start building so called defence line around western side of Kiev and some bunkers has been mounted right into the walls. Since then the embrasures, the bunker openings, overlook everyone. It is the openings of bunker N205. It is a big one, there were several embrasures. 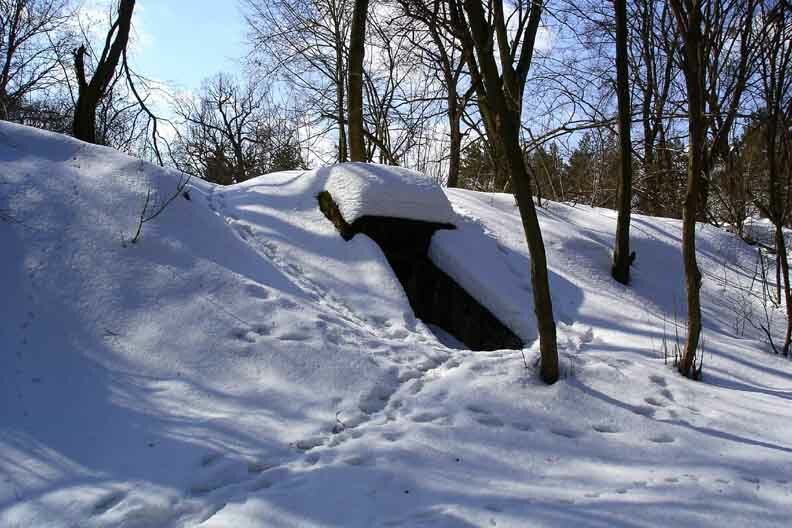 With crew of two dozen soldiers, this bunker had enough room to give a shelter to other 100 soldiers. 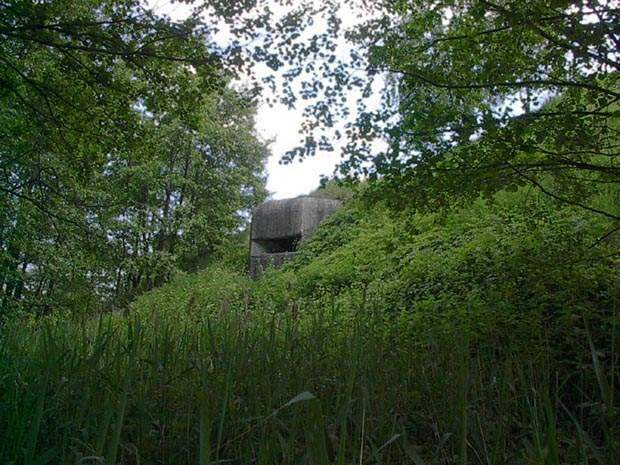 This bunker is unexplored, it stays closed since war. 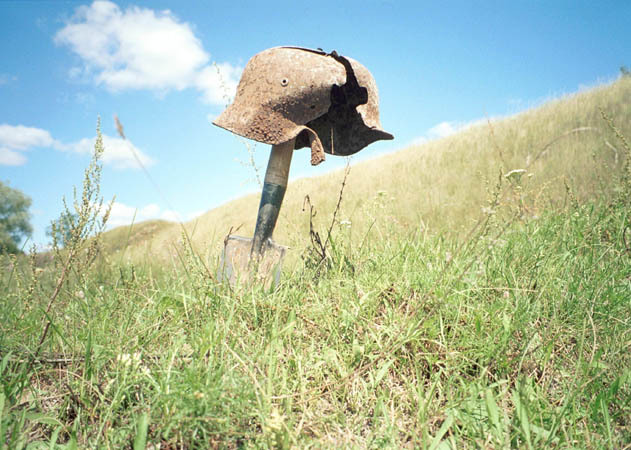 They closed some bunkers for people not to blow on mines.